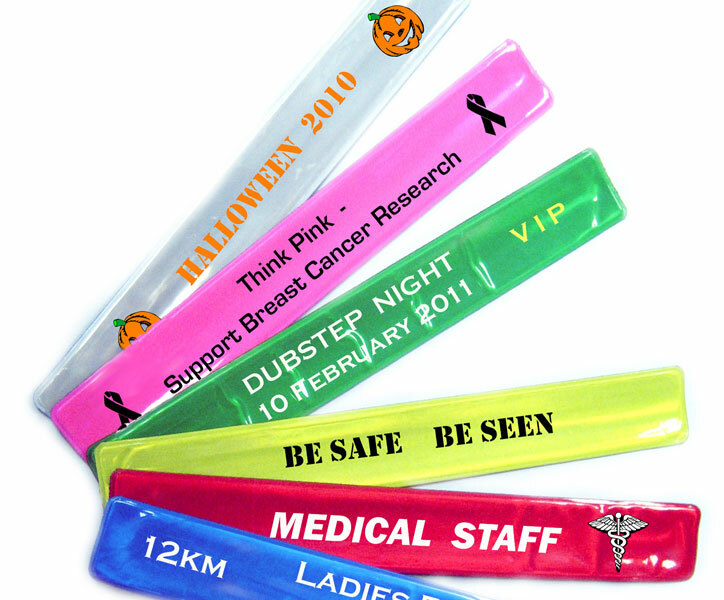 Slap Bands (Slap Bracelets) Custom Branded & Printed for Promotions. 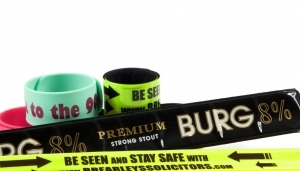 Personalised slap bands or slap bracelets are very popular as a promotional product. 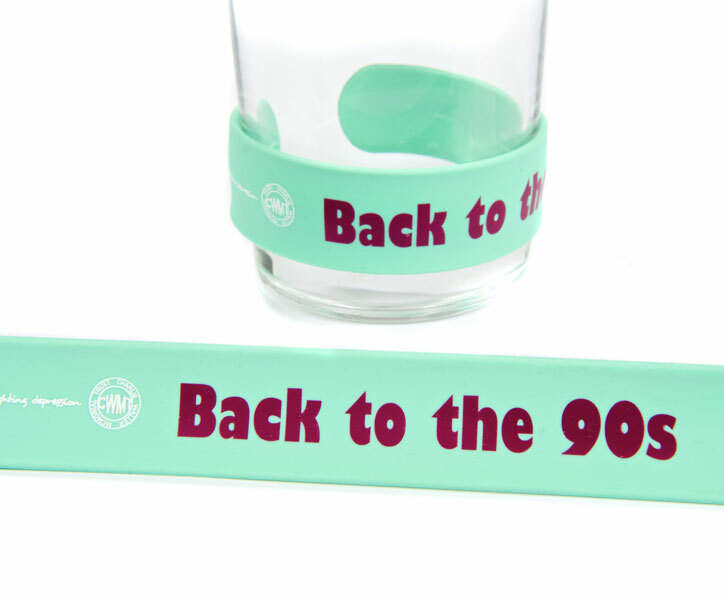 They are widely used as a fun alternative to customised wristbands and are manufactured from vinyl, pvc or silicone. 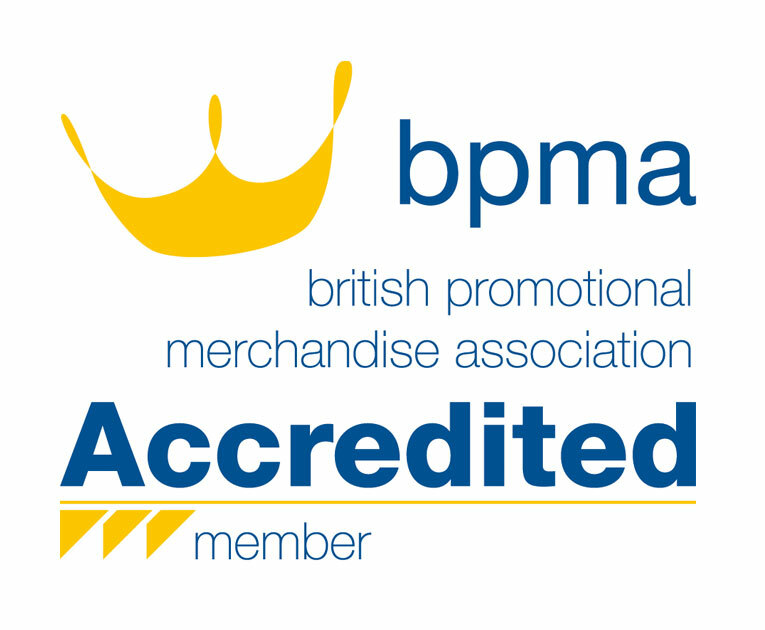 They are often used to promote UK events or create unique brand awareness as part of a promotional marketing campaign. Custom printed slap bracelets ‘snap’ around your wrist or upper arm when ‘slapped’ with moderate force against the limb. Inside custom slap wristbands is a thin but flexible steel band which reinforces the slap bracelet. The felt material underside of these slap wristbands ensures a comfortable wear without sweating. 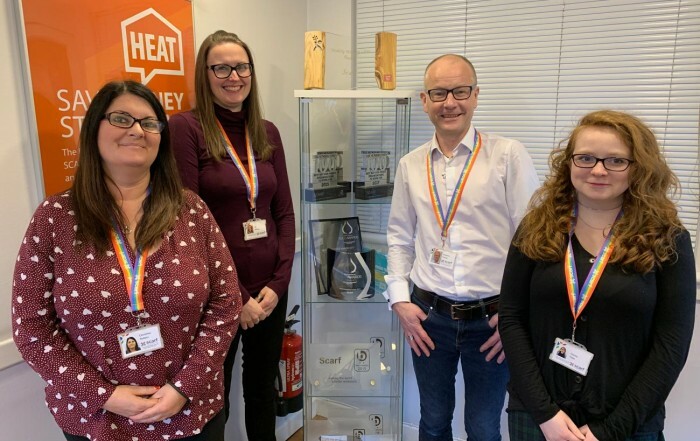 Get in touch and speak to a specialist advisor about your requirement. 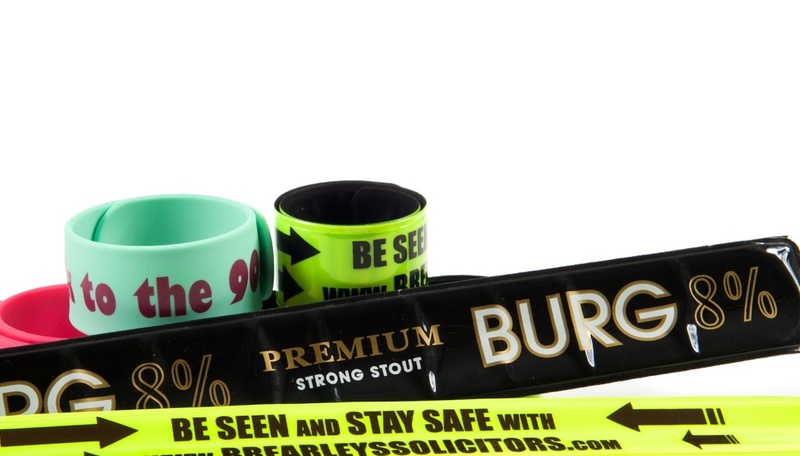 Personalisation options for promotional slap bands. The upper side of the slap bracelets can be custom printed with a single colour for a cost effective option. Alternatively, multi-colour images can be reproduced on the vinyl or silicone upper. Doing this can create a very effective, striking and durable long-term promotional tool. Slap Bracelets are not only used for straight forward promotional campaigns. 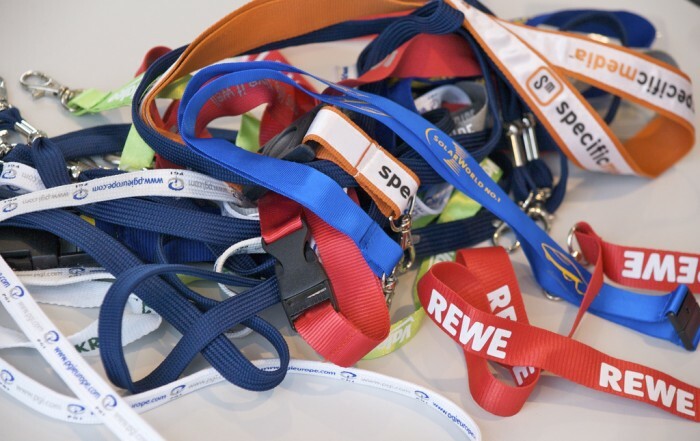 They are also perfectly suited as give-aways for such things as safety awareness campaigns. This is because the vinyl outer surface is very often light reflective. This makes these custom slap wristbands into upper arm bands and ideal for use in road safety campaigns for school children. We can supply short run and bulk orders to UK an international clients. 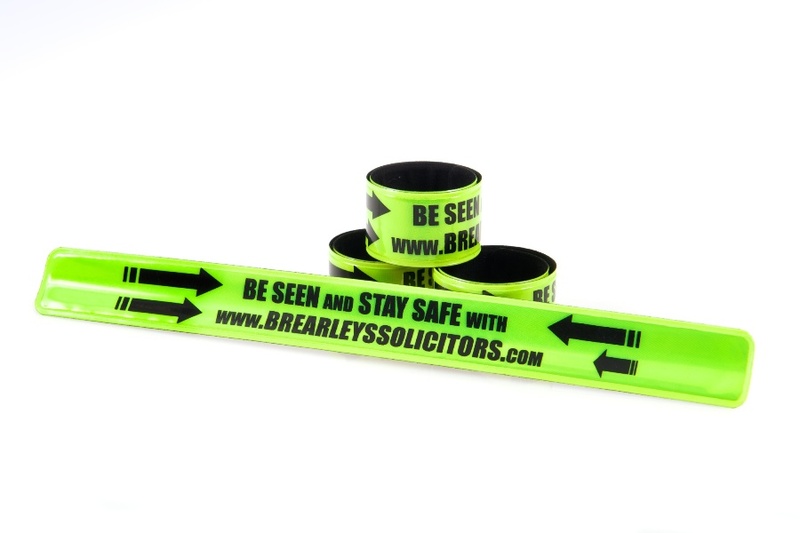 Our PVC Slap Bands are available in a range of reflective colours (colour chart available) with four different sizes ranging from 23 x 3cm to 34 x 3cm. Single colour or multicolour print options are available. Logos and text can be put on the outer reflective side to deliver your message or campaign while the rear side has a felt backing for comfort. Minimum order quantity is 300 pieces. More on Silicone Slap Bands. Our Silicone Slap Bands can be custom colour matched to any pantone colour, three different sizes ranging from 230 x 24mm to 280 x 30mm are available. 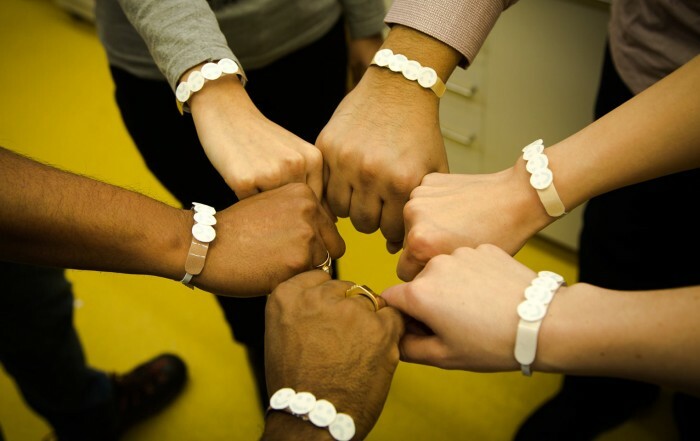 Silicone bands are a different and fun option to the PVC but please note the minimum order quantity is 1,000 pieces. Single and multicolour print options for logos and text deliver your message or campaign.